In the meantime, I am going to show you this little delightful snack that joined in our appetizer meal last weekend. Along with the blue cheese and honey bruschetta, we made this ooey-gooey super cheesy artichoke dip. Every restaurant has a great appetizer, but for $9 bucks a pop why bother leaving the house when you can whip up the same thing at home and for a lot cheaper! 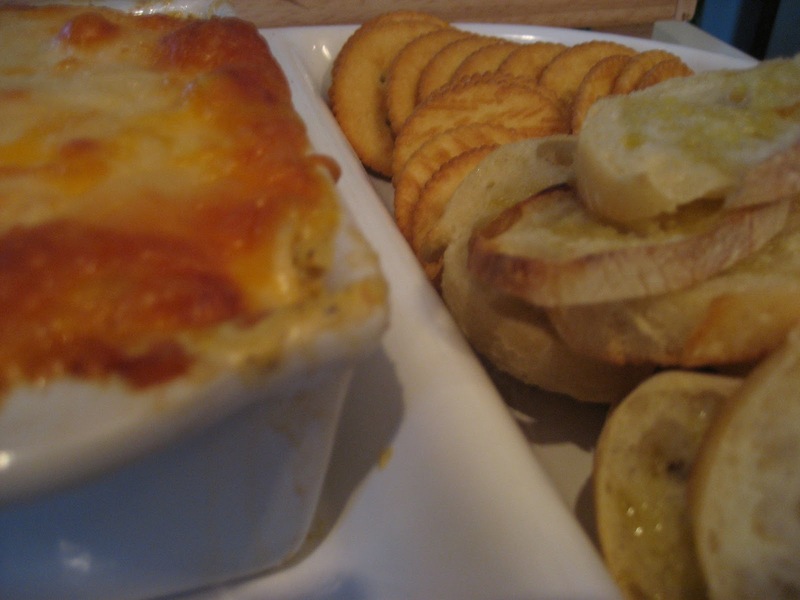 Sprinkle dip with Italian cheese blend and paprika. Bake for about 25-35 minutes. Remove from oven. Preheat broiler and place underneath for 2-3 minutes. Serve warm with toasted baguette slices and/or crackers.